Cotton is a naturally grown plant fiber that produces breathable, cool fabrics loved for quilting, baby clothes, heirloom sewing, historical reenactment and dyeing. Here some of our favorite wholesale collections. 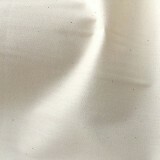 Wholesale Combed Cotton Batiste - 45" White, 40 yds. Wholesale Combed Cotton Batiste - 45" White, 250 yds.